Mobile application is committed to charity and keeping subscribers physically fit. 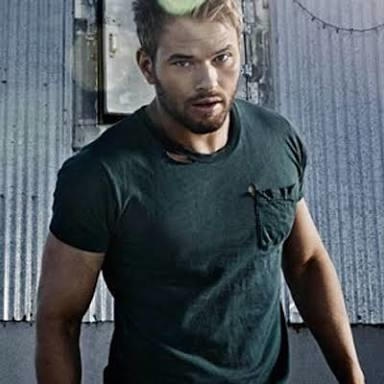 Kellan's celebrity challenge web page. MaximusLife, a mobile application company that offers a lifestyle and fundraising platform dedicated to connecting celebrities, fans, charities and brands under one ecosystem, announced today a new celebrity fitness challenge involving Kellan Lutz, star of the Twilight Saga Film Series. This new challenge, lasting 30 days, enables subscribers to support a charity while meeting fitness goals and winning chances to meet Mr. Lutz. The MaximusLife platform, available for free in iOS and Android app stores, has its own activity feed, enabling users to interact directly with Kellan and a select charity. Unlike competitive offerings, it provides an unprecedented level of interaction with Mr. Lutz, including the chance to meet him in person in Los Angeles. It is truly the next generation of fitness motivation for a good cause. Future plans include incorporating it into corporate wellness programs later this year.